A tour-de-force of luxury and performance, this Continental GT V8 is an impressive grand tourer in every regard. A push of the START button brings to life a powerhouse 4.0l V8 delivering 500hp and 487lb-ft of torque with a twin-turbocharged punch for blistering acceleration off-the-line and ample power in reserve to overtake even at fast-paced highway speeds. 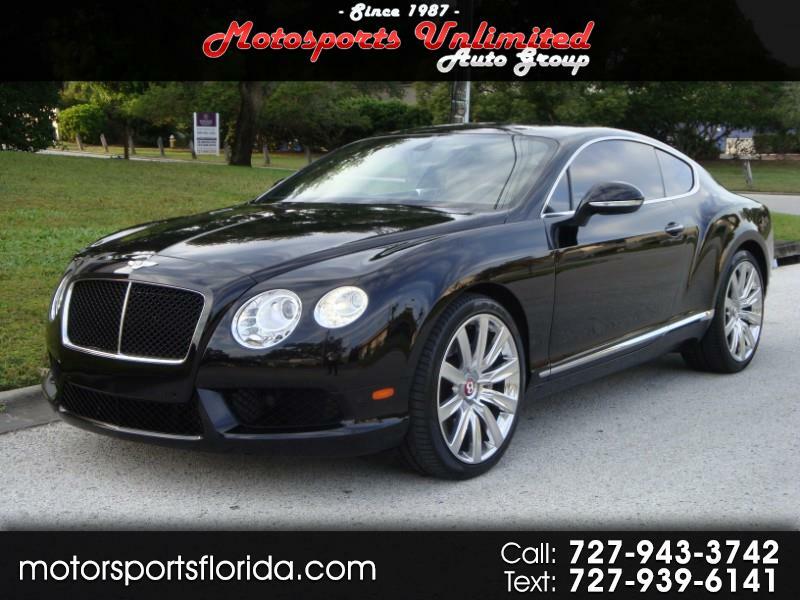 Paired with a sophisticated 8-speed automatic with sequential sport shift, this Continental is an exceptional performer and still returns an impressive 25MPG highway! A generous carpeted and flocked trunk offers plenty of space for all your cargo along with a power opener and pull-down. Inside, four are coddled in true decadence in a cabin trimmed with plush leather upholstery, fine genuine wood inlays, metallic accenting, and rear folding armrest along with power-entry seatbacks. Up front, dual heated and cooled buckets feature dual 10-way power adjustments, dual 4-way power lumbar, massage function, dual 3-position memory settings, driver's power lumbar, and a versatile and useful center console. Myriad luxuries include dual-zone electronic climate control, an 8-speaker AM/FM/CD stereo w/HD Radio, SIRIUSXM-readiness, and steering wheel controls, Bluetooth, touchscreen navigation, power windows/locks, heated mirrors w/power folding, cruise, leather-wrapped heated wheel w/power tilt/telescoping, automatic headlamps, info center, front/rear park sonar, rear camera, rain-sensing wipers, electrochromic rearviews, and more! Safety is ensured with 4-wheel antilock brakes w/panic assist, dual front airbags, side-impact airbags, side curtains, traction control, and stability control. Dressed with 20" polished chrome wheels, bi-xenon headlamps w/gatling gun LEDs, chrome grille mesh, dual polished exhaust, power spoiler, and tinted glass, this Continental GT certainly turns heads. Own this beauty for a great value today!----Call or text Brian at 727-226-3097 for more info, photos, or to schedule a test drive today! Message: Thought you might be interested in this 2015 Bentley Continental GT.